As one can expect, a visit to the Embera village in Panama means buying the handicrafts made by the residents. A different image of the Indians in colorful costumes selling their wares to tourists. Weaving skills were handed down from mother to daughter. Mexico’s fabric crafting history originates with the Mayans who wove garments, rugs and art decorated with symbols, animals and plants. Mayans are credited with originating hammocks, hats and baskets and the patterns found on contemporary wares is extremely similar in shape and color. 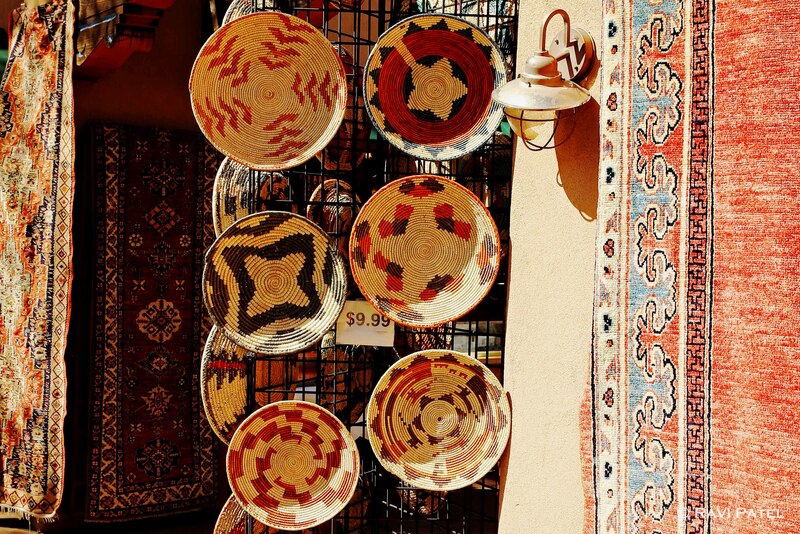 Even the vibrant colors of the handicrafts in Santa Fe match the landscape of New Mexico. Love the antique looking lamp casting its shadow.